Canon’s recently launched EOS M50 is a well-rounded system camera that comes loaded with a host of sensible features, such as compatibility with Canon’s Utility software and 4K video capture. The company’s latest addition to its mirrorless line-up has a mid-tier price point of around EUR 570 (body only, no lens). The EOS M50 features a lightweight, compact design (the body is significantly smaller than that of the Sony A9, for example) and weighs only 387 grams (body only). But don’t let its tiny footprint fool you – great things come in small packages, and the performance of the EOS M50 is truly impressive. It is equipped with a 24 MP APS-C image sensor and uses Canon’s CMOS Dual Pixel technology. 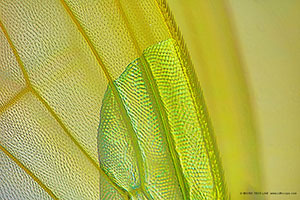 Its high ISO sensitivity (up to 51,200) also makes the EOS M50 a good fit for low-light microscopy applications, such as fluorescence microscopy, and it also includes a bulb mode for longer exposures than the camera settings allow for. Our LM adapter solutions feature an integrated plan-achromatic optical system and fit the native Canon EF-M connection, which makes it possible to attach the camera to almost any microscope. 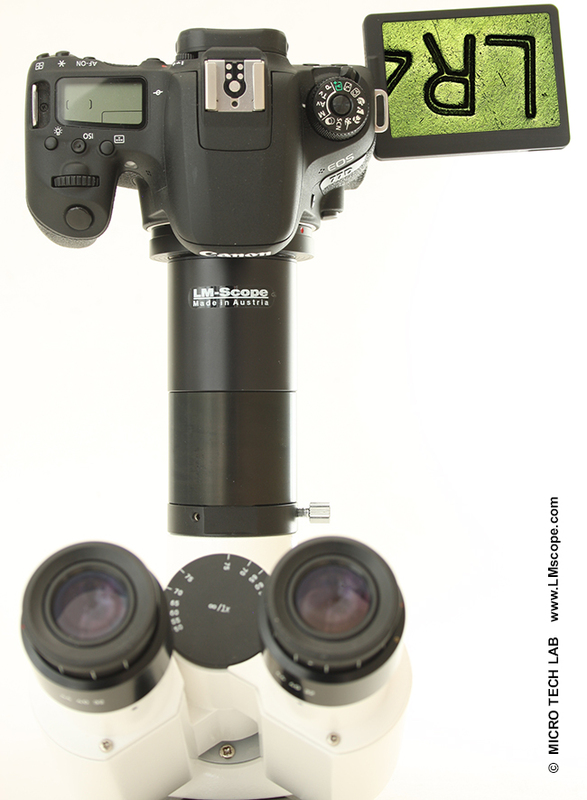 This combination of top-quality camera, LM adapter solution “made in Austria” and high-grade microscope will deliver impressive, high-resolution images. The EOS M50 can also shoot video at 4K (3,840 x 2,160 pixels), the highest resolution currently available on the market, at a maximum of 25 frames per second. 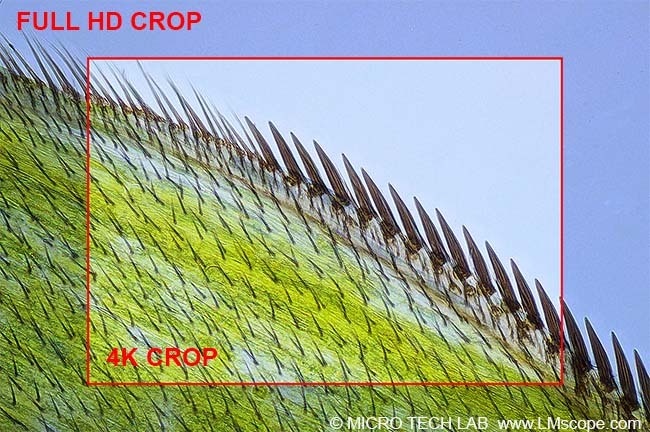 The only shortcoming is that recording for 4K is from a cropped, central area of the image sensor, which means that users cannot benefit from the full sensor. In Full HD, the camera even outputs up to 60 frames per second. Continuous recording will stop after 29 minutes, which is more than enough for most photographic needs. The large 7.5 cm tilting and rotating touchscreen display is a big plus in terms of workflow efficiency and ergonomics. An even more convenient way of capturing images is to connect the camera to the PC/Mac via USB cable and control it remotely with the reliable Canon Utility software. Alternatively, Canon’s Camera Connect app (English version of the site is following soon) can be used for remote control from a smartphone or tablet. With this app, images can be saved directly to the mobile device used, and the camera can also be operated remotely from a smartphone or tablet using the Live View shooting function. 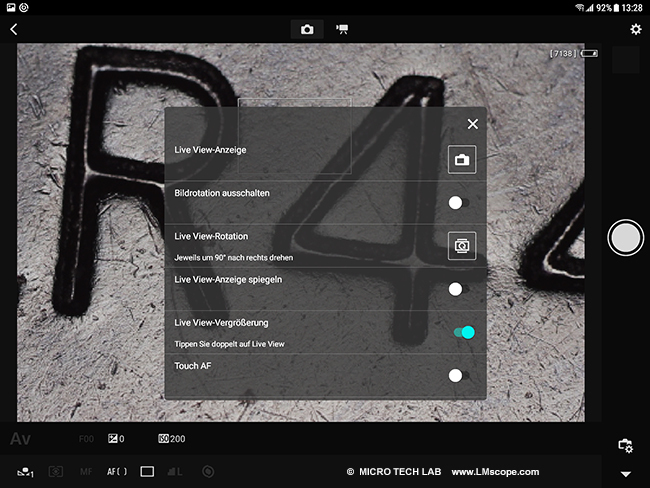 In addition, changes to the camera’s most important settings can be made directly from the tablet. The app connects the mobile device to the camera via WLAN/Wi-Fi. A detailed description of Canon’s free Camera Connect app can be found here (English version of the site is following soon). The EOS M50 easily stands up to comparison with other Canon camera models. The fact that it is Canon’s first system camera featuring 4K video puts it in a really competitive price segment (as of August 2018). The small, lightweight design is also a bonus. If 4K video is a priority, any of Canon’s standard EOS DSLR cameras (77D, 80D, 200D, 800D, 1300D) are also a good option. 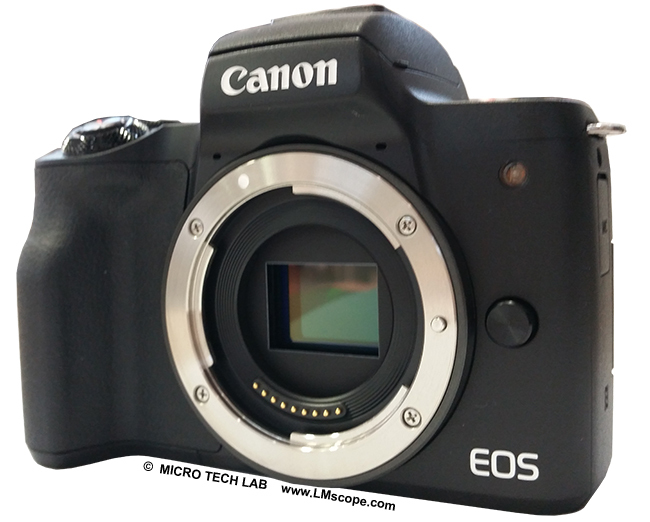 These models have an even better price/performance ratio and offer almost the same photo and video quality because all current EOS cameras with APS-C sensors use the same CMOS Dual Pixel technology. The lowest-priced EOS model is the 1300D. 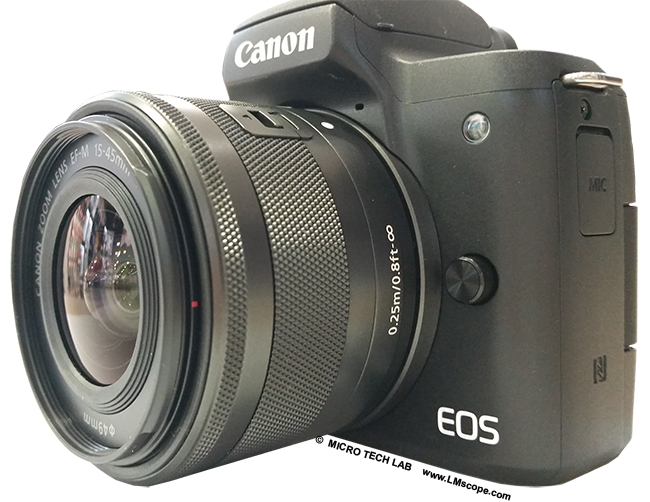 Conclusion: The EOS M50 is Canon’s first system camera that we can recommend for scientific microscopy applications. It is also the first system camera to support Canon’s Utility software, which can be used to control the camera remotely in Live View mode. 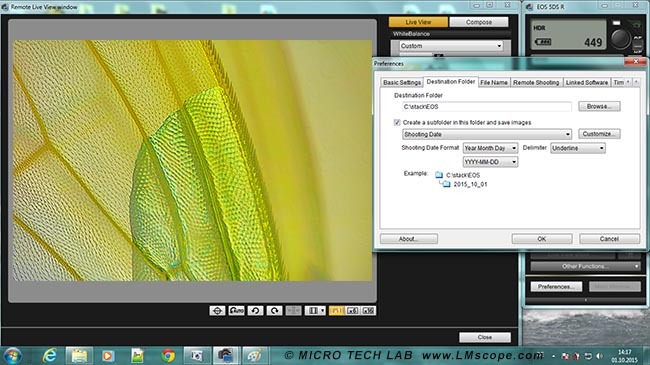 Remote control via Live View from the PC or Mac adds significant value, because it makes working with the microscope more convenient and increases workflow efficiency.